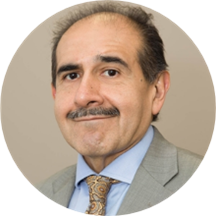 Northeast Medical Group Rogelio Perez is a concerned and considerate gastroenterologist based in New Haven and West Haven, CT. Dr. Perez obtained his medical degree from Johns Hopkins University. He completed his residency at Massachusetts General Hospital and fellowship at Mayo Clinic in Rochester, NY. Dr. Perez is a part of Northeast Medical Group. Dr. Perez is board certified in gastroenterology by the American Board of Internal Medicine. He speaks English and Spanish fluently, which makes him widely accessible to patients from a variety of cultural backgrounds. Dr. Perez is deeply committed to the well-being of his patients. He takes a thorough and precise approach to his consultations to ensure that he is consistently giving accurate diagnoses. During his consultations, he fully explains patients’ conditions and helps them choose an appropriate treatment plan. Great doctor, knew exactly what he was talking about. Great bedside manners and thorough with after appointment testing and labs. Really liked him. He was late due to an erergrncy, but his staff took excellent care of us. Thx!! Dr. Perez is a wonderful doctor with great bedside manner. He is really easy to talk to and takes the time to ask questions and understand your symptoms. I highly recommend him. Dr Perez was very helpful, he listened and was very understanding. He takes time to explain, I was happy with how my appointment went. The office staff was also very nice.